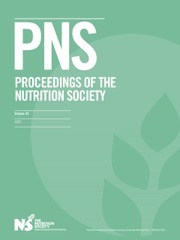 Proceedings of the Nutrition Society publishes papers and abstracts presented by members and invited speakers at the scientific meetings of The Nutrition Society. The journal provides an invaluable record of the scientific research currently being undertaken, contributing to 'the scientific study of nutrition and its application to the maintenance of human and animal health.' The journal is of interest to academics, researchers and clinical practice workers in both human and animal nutrition and related fields. Fatty acids: a role for Africa?